GOODFUNDSADVISOR: Not posting TAX returns before 31st March?? God Bless you!!! 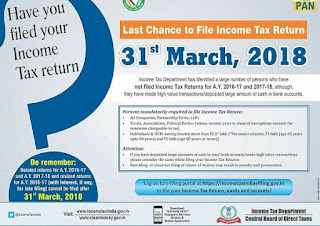 Not posting TAX returns before 31st March?? God Bless you!!! If any of such thought has ever crossed your mind......then discard that thought immediately!! The disadvantages are huge and the advantage......absolutely ZERO. 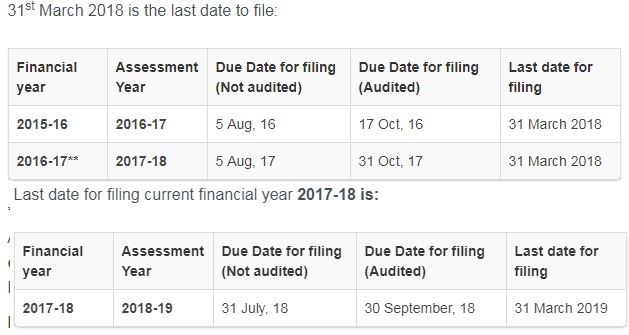 F or the Financial Year 2016-17 (AY 2017-18), the return can be filed by the 31st March 2018. WHAT IF I AM NOT ABLE TO FILE THE RETURNS? This penalty provision has been abolished in relation to the return of income required to be furnished for any assessment year commencing on or after the 1st day of April, 2018.
under sec 276cc you may notice for prosecution and get JAILED with a Rigorous Imprisonment of upto 7 years!!!!!!!!! OH MY GOD! ANY OTHER IMPLICATIONS? 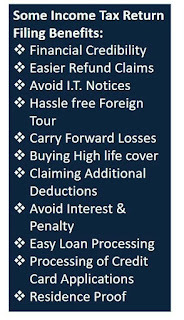 You are disallowed to claim refund of any Excess Taxes you may have paid. Sometimes due to some error, oversight, omission, you may have paid Excess Taxes or a wrongful TDS may have occured. In normal Tax Filing, you are entitled to claim refund and get back your rightful amount but this is disallowed in case of Belated Return Filing! You may not get Life Insurance Cover. Easy loan processing: At the time of applying for a loan, banks ask applicants to furnish copies of tax returns for the past 2-3 years. This helps banks understand your financial position and ability to repay the loan. 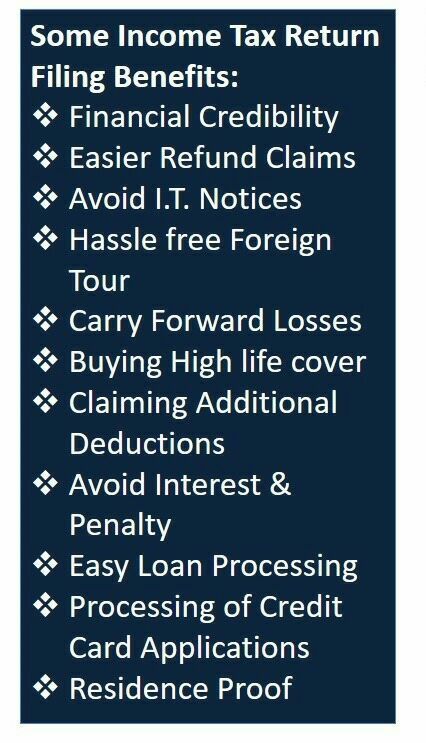 Providing a copy of returns helps in faster approval. Some countries may even deny you a VISA if you are not able to submit your IT Returns. ANY OTHER ADVANTAGE OF FILING RETURNS?? A person should file IT returns irrespective of whether the income is within the exemption limit. Don’t we need to produce IT return statements when we apply for loans ? Exemption is a privilege and we shouldn’t use it as an excuse for not filing returns. 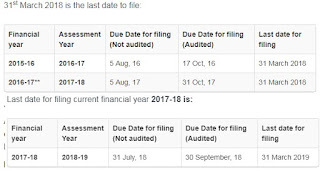 Those friends who are stuck while filing tax return for AY 2016-17 for foreign companies due to lack of Indian bank account details, please fill up NNNN0NNNNNN in the IFSC Code field. Finally, you are advised to take the advice of a good qualified Chartered Accountant for all Tax Related Matters.